The scenic and captivating Blue Ridge Parkway is one of those destinations that is actually more amazing in person than in all of its promotional materials. The parkway runs 469 miles through North Carolina and Virginia, connecting the Great Smoky Mountains National Park in North Carolina to the Shenandoah National Park in Virginia. 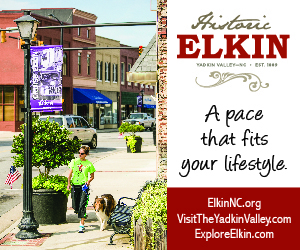 With almost half of the parkway running through North Carolina, there are dozens of areas to visit, explore and enjoy. The parkway satisfies the tastes of outdoor enthusiasts, history buffs, artists, cyclists, hikers, wine enthusiasts and more. You can tour the parkway several times during the year, for years, and still not take it all in. Celebrating its 75th anniversary in 2010, the Blue Ridge Parkway is a product of the New Deal’s efforts to provide jobs to the unemployed of the Great Depression. 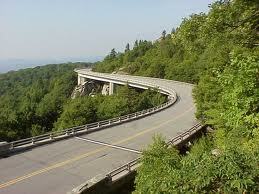 Construction began in September 1935 at Cumberland Knob near the North Carolina and Virginia state line. The idea was to create a link between the Shenandoah National Park, to the edge of the Great Smoky Mountain National Park. The parkway was completed in 1983. New Morning Gallery, a fine crafts destination for over 30 years, offers a unique selection of hand-crafted furniture, home accessories, pottery, glass, jewelry, garden sculpture and other imaginative gifts by American artisans. The gallery is located in Historic Biltmore Village, two blocks from Biltmore Estate’s entrance. To find the gallery, exit at milepost 388.85. Blue-misted mountains, cascading waterfalls, rolling pasture, and gorges banked with wildflowers greet hikers of all skill levels among the more than 100 varied and intriguing trails in North Carolina and Virginia. Meandering alongside and crossing the scenic motor road, the trails provide a close-up look at some of the most beautiful wilderness in the country. Many trails wind their way through unique biological and geological environments. Others lead to historic sites with stories of how people have shaped our heritage. Trails are rated, ranging from easy to strenuous. Located at milepost 382, the Folk Art Center showcases the finest in traditional and contemporary craft of the Southern Appalachians. It houses the Southern Highland Craft Guild’s century-old Allanstand Craft Shop, exhibitions in three galleries, a library and an auditorium. Moses H. Cone Park Campground - Camp under the stars at the Parkway’s largest campground. Located at milepost # 294, the park is comprised of 4,200 acres at the foot of Grandfather Mountain, named in honor of Julian Price. It lies directly adjacent to the Moses H. Cone Memorial Park. Together these parks comprise the largest developed area set aside for public recreation on the Blue Ridge Parkway. If you are considering retiring to the North Carolina mountains, experiencing the diversity of the Blue Ridge Parkway is an ideal way of getting a good sense of what your retirement lifestyle in the North Carolina mountains can be. Can't Find the Information You Are Looking For? Let us know.